I WORK HARD TO DEFEND YOUR RIGHTS! Enhance the outcome of your drunk driving, domestic violence, and other criminal law cases with help of Attorney Guy Larock in South Coast, Bristol, Plymouth, Barnstable counties, New Bedford, Fall River, Taunton, Wareham, Cape Cod and surrounding Massachusetts communities. Attorney Guy Larock consistently applies his values and diligent work ethic to each and every case to effectively defend the rights of his clients. For as long as I can remember, practicing law has always been my passion and lifelong ambition. After graduating from Massachusetts School of Law, I established my criminal law practice in which I've been practicing for over 16 years. When you are involved in a drunk driving accident or traffic violation, I provide complete legal services from the first arrest through the final stages of case completion. Prior to beginning your criminal law case, I’ll meet for a one-on-one legal consultation to discuss all possible defenses and the specific details of your case. Whether you’ve been charged with possession of a high-capacity fire arm, or any other type of weapon without an FID card, I have the skills to successfully defend you against these charges. Contact me today to schedule a consultation and find out how I can enhance the outcome of your case. I understand that family dynamics vary from family to family, and I take great pride in working to resolve your domestic violence case in a timely manner while providing minimal disruptions to your family. Together, we’ll find a solution that works best for both you and your family. You don’t have to work all the way on Wall Street to be charged with a white collar crime. In the case that you are charged with larceny, embezzlement, or theft by your employer, contact me and I’ll iron out the details of your case while providing you with high-quality legal representation. As an expert attorney, I handle drug offenses of every size and variety, as well as personal injury cases such as auto accidents and slip-and-falls. Don’t fight your case alone; I’m on your side. It is important to have a lawyer before you see a judge. If you receive a summons, have an active warrant, or have just been arrested, give us a call. I have successfully argued over a thousand bail arguments and know what the judge wants to hear. Choosing the right attorney for your legal representation is easy when you turn to me. 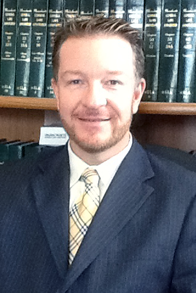 I am honored to be your choice for excellent legal service that caters to your needs. What is 20 minus five? I am conveniently located in New Bedford, Massachusetts, across from City Hall. Stop by my office today to find out how I can assist you with your drunk driving charges. Contact me using the form below or schedule an appointment for assistance with your drunk driving or domestic violence cases. What is 3 plus 14?